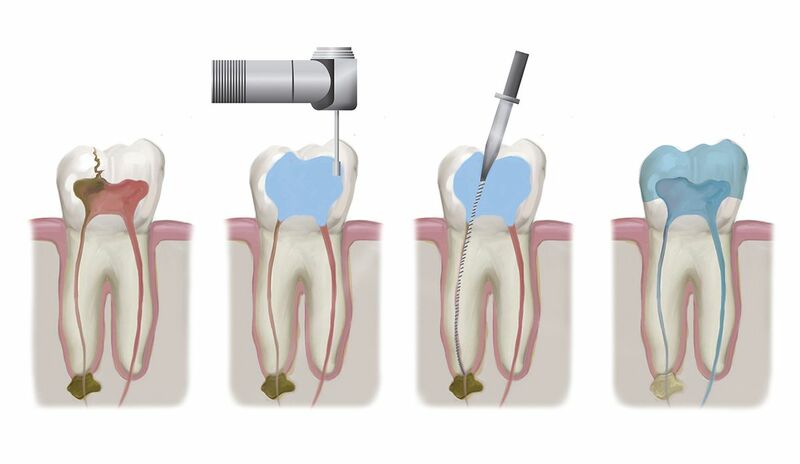 Root canal treatment saves many teeth that would otherwise be lost. First, an opening is made through the back of a front tooth or the crown of a molar or premolar. After the diseased pulp is removed, the pulp chamber and root canals are cleaned, enlarged and shaped in preparation for being filled.